Transmission: Manual 4 speed Hurst. 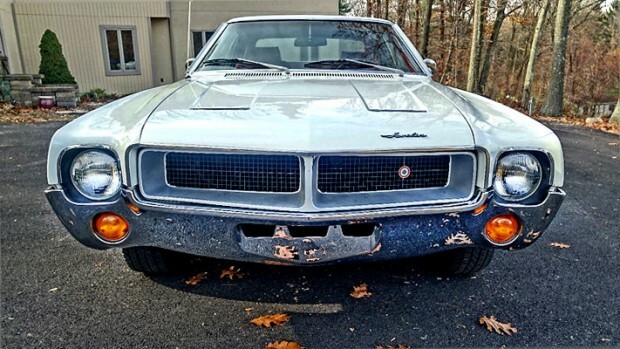 At first I thought this AMC Javelin had too high mileage, but the listing says the engine and transmission have been rebuilt by Engine Machine Shop with less that 1000 miles, so at least that job has been done for you. 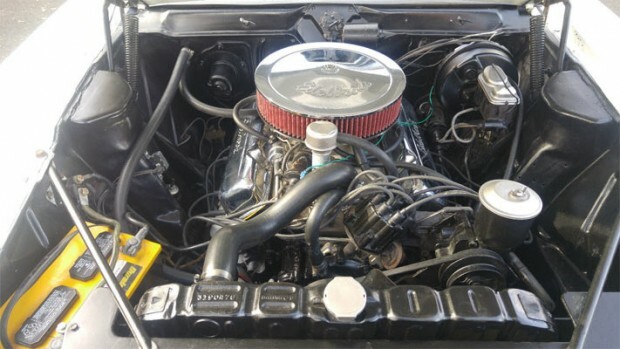 The cars has had a full restoration job and clear back history with the main highlight being its price. Maybe this is down to it still needing jobs here and there like it says the driver side window does not crank up level, there is a crack in the front grille, the clock does not work and the electric windshield fluid pump is faulty, but even so, it’s still a reasonable amount for an AMC Javelin SST. ‘Here is a list of work that has been performed. Radiator re-core, New brake lines, New emergency cable, New Flow master dual exhaust 2-1/2″ by custom exhaust shop, New front and rear seat covers, New carpet, New Clutch, Re Chromed front and rear bumpers (no dents), New shocks. Body- There was a small amount of rust at the rear wheels on both sides, repaired with welded in patch panels. There was No other rust on body. Nice condition, but not quite show quality. Rear trunk lid sits a little high, adjustment may help. Paint- Stripped car to bare metal, Primed car twice, Block sanded, Sprayed epoxy sealer, Base coat and clear coat 2 stage, Factory 72A Frost White color. Paint on car is extremely nice, I would rate it a 8.5 out of 10. Installed all new badges on car. Car has Power brake and Power steering. 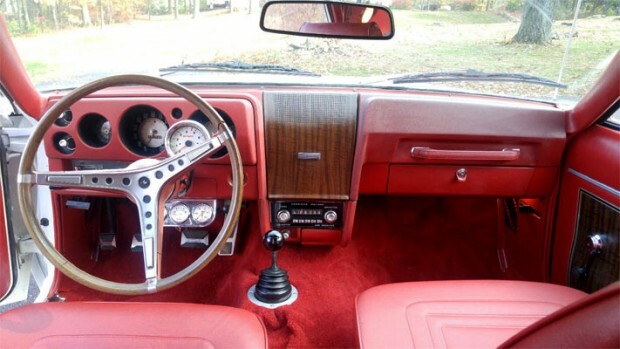 No Cracks in dash, Floor board and frame rails are excellent. Original interior door panels where painted and are in good condition. All signals, lights, radio and heater work as they should. Runs, drives and sounds very nice. Great oil pressure. Very quick car, lots of power. Car gets a lot of thumbs up and attention when out for a drive. If your interested in the car, the videos below will give you the best rundown. Next Story → 1969 Dodge Charger R/T SE, Track Pack. 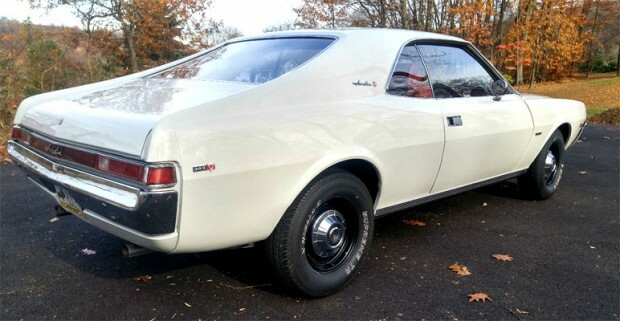 Kind of like AMX except this car has backseat!